The Malacca Tourist Information Centre is located at Jalan Kota in Malacca. 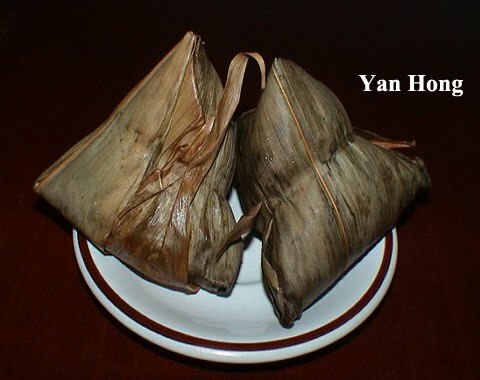 It's at the opposite of the Dutch Square. 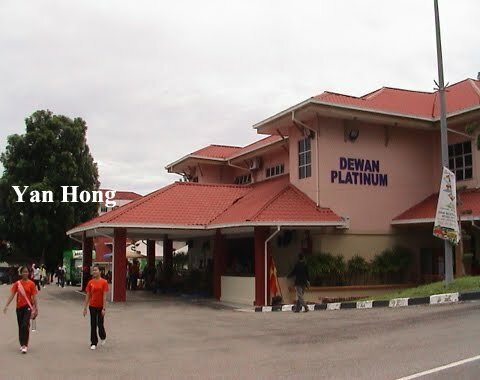 As you can see from the above photo, the building of the Malacca Tourist Information Centre was constructed as a mosque. The Malacca Tourist Information Centre opens 7 days a week. 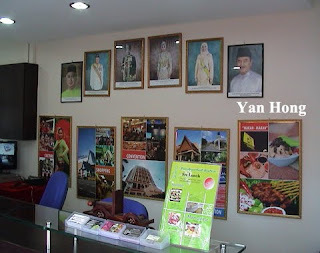 It opens from 9 am to 6 pm. Travel brochures and city maps are available at the Malacca Tourist Information Centre. 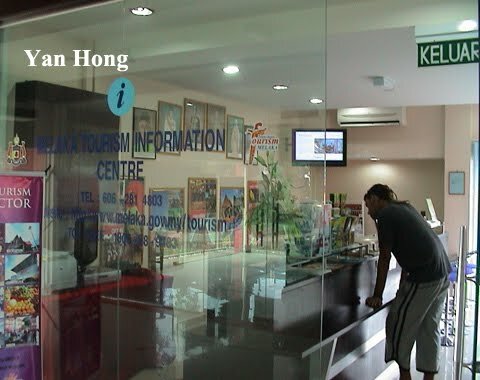 Feel free to drop in to enquire for information on travelling in Malacca at the Malacca Tourist Information Centre. 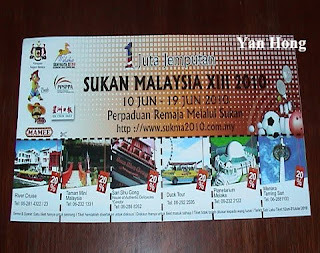 The staffs on duty would be glad to do you a favour. The Malacca Tan Kim Seng Bridge stretches across the Malacca River. It connects both banks of the Malacca River. The Dutch Square on one side and the Jonker Walk on the other side. The naming of the Tan Kim Seng Bridge was in honour of philanthropist Tan Kim Seng. 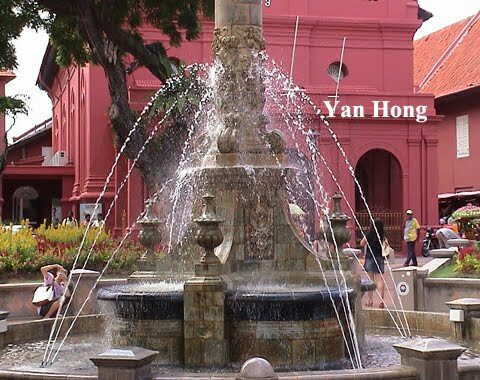 Born in 1805 in Malacca, Tan Kim Seng moved to Singapore to make a fortune. He was devoted to community charity. 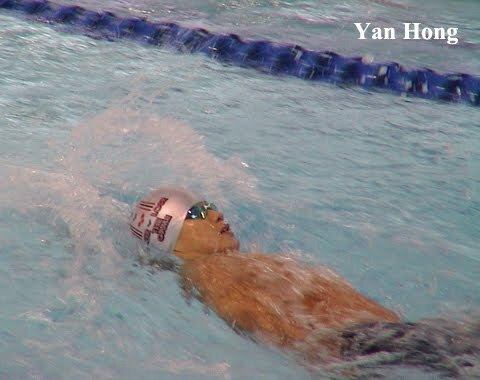 His lifetime public contributions, including establishing school, sponsoring hospital and building bridge. 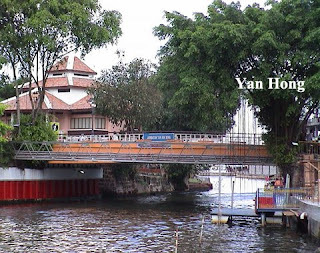 The Tan Kim Seng Bridge was originally a wooden bridge. The Portuguese rebuilt it with stones and cement. The bridge was seriously damaged during the British rule. 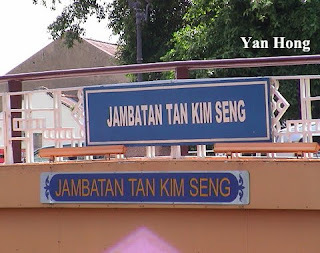 In 1862, Tan Kim Seng subsidized the construction of the bridge. 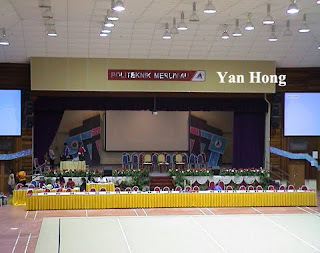 After leaving Merlimau Polytechnic, I was heading to Hang Jebat Sport Complex in Krubong, Malacca. 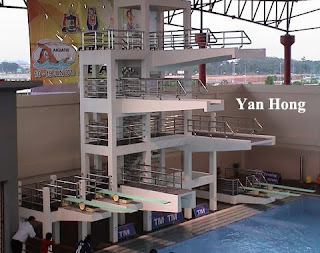 The above photo is the Hang Jebat Aquatic Stadium. 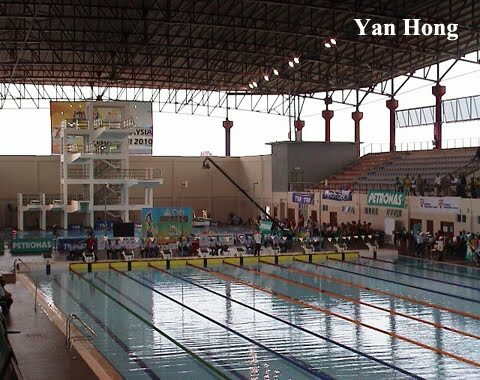 It's the venue for diving and swimming events. The electronic score board displayed results immediately. As you can see from the photo, the results were shown clearly. The diving platforms are at the opposite side of the electronic score board. 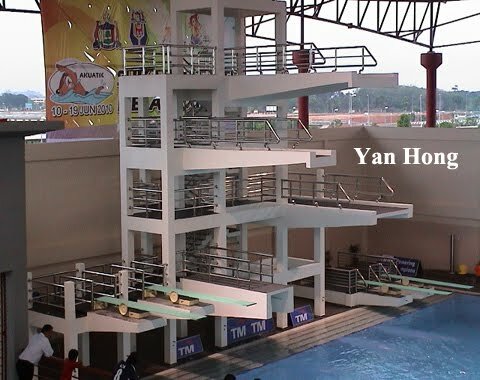 The diving event for that day was 1 metre springboard. 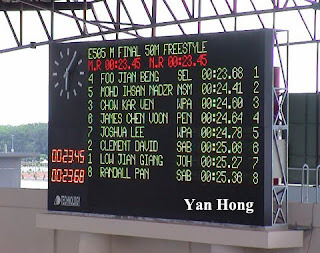 When I arrived at the Hang Jebat Aquatic Stadium, the diving event had ended. 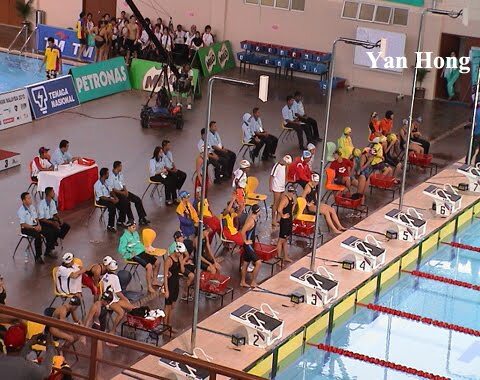 Participants of the woman 4x100 metre medley were ready to compete. 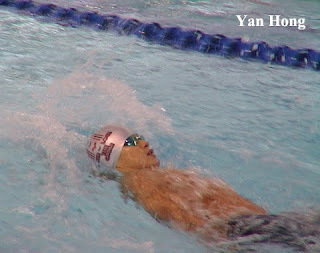 The contestant of man backstroke was swimming toward the end point. Winners of the woman 100 metre backstroke were enjoying their victory during prize giving session. 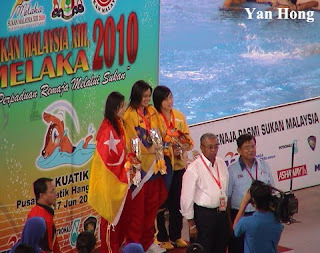 They were the champion Chan Kah Yan (Wilayah Persekutuan), first runner-up Loo Hei Di (Selangor) and the second runner-up Cheng Karmen (Perak). 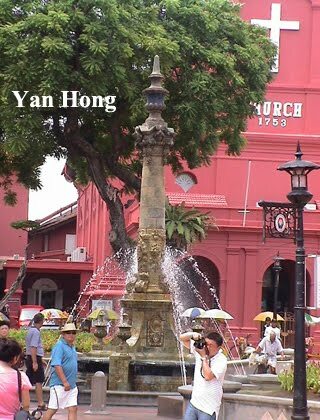 Situated at the Dutch Square in Malacca, the Queen Victoria fountain provides an irresistible backdrop for tourists to take photos. In 1824, the British and Dutch signed the Anglo-Dutch Treaty. 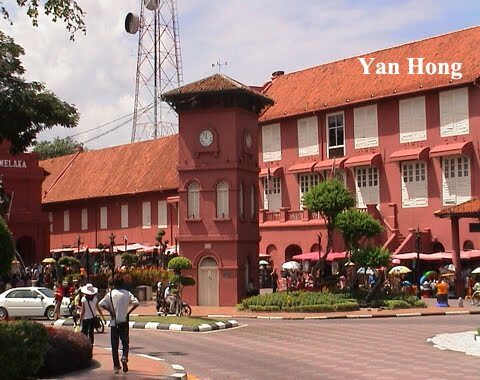 The British obtained the ownership of Malacca by exchanging Bencoolen of Sumatra with the Dutch. The British set up the Malay Peninsula Strait Settlements in 1826. 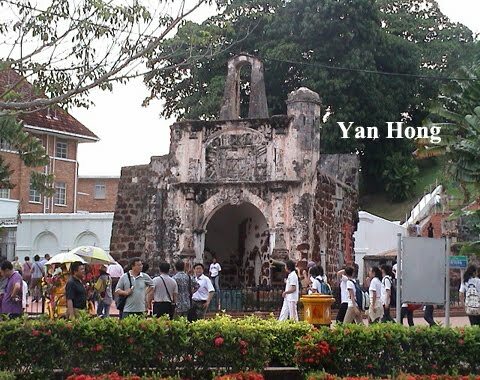 The Strait Settlements was composed of Penang, Malacca and Singapore. 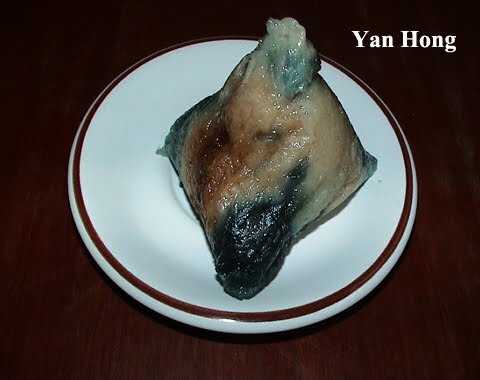 It was under the rule of the British East India Company Governor. 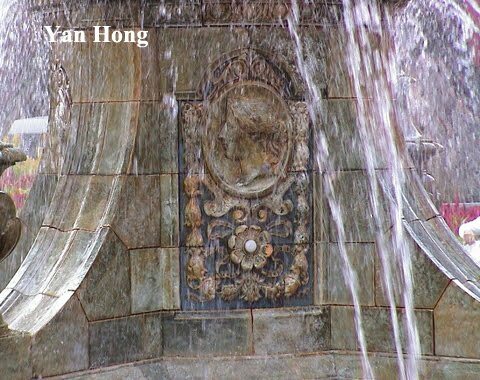 The Queen Victoria Fountain was built in 1904 to commemorate the Diamond Jubilee of Queen Victoria of United Kingdom. After more than hundred years, the Queen Victoria Fountain is still standing tall at the Dutch Square. 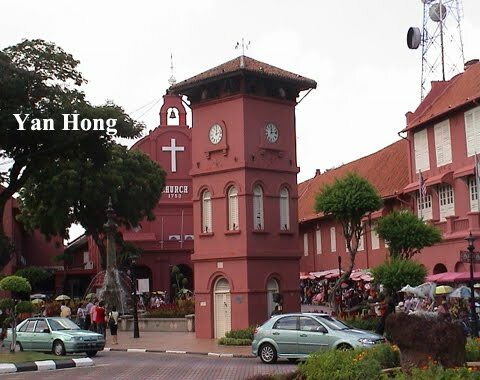 The Christ Church is located at the Dutch Square in Malacca. On the right of the Christ Church is the Stadhuys. There is a clock tower in front of the Christ Church. During the Dutch rule in Malacca, the Dutch attended their service at the St. Paul's Church until the construction of the Christ Church was completed in 1753. 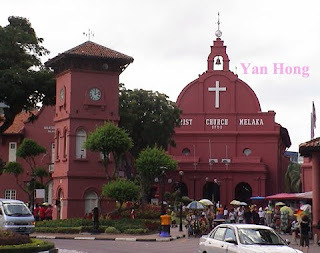 The historical city---Malacca was listed as a UNESCO World Heritage Site since 7 July 2008. 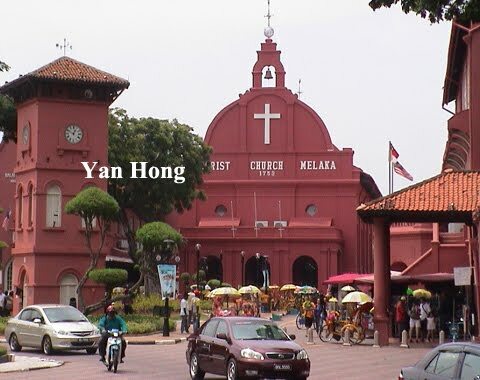 One of the listed sites was the Christ Church which had been built more than 200 years ago. 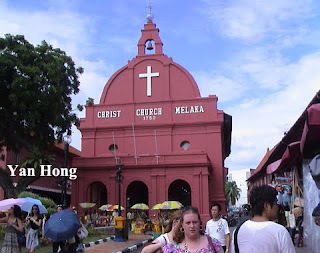 Now, the Christ Church had turned into a must visit tourist attraction. 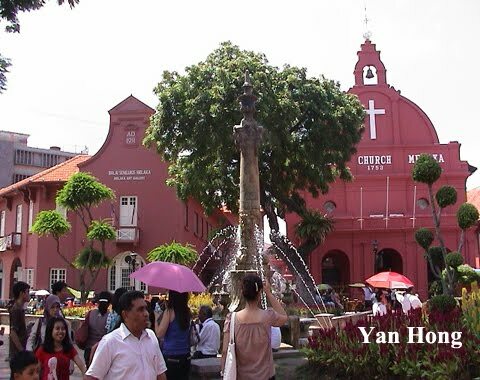 Visitors from all over the world flock to the Christ Church during weekends and holidays. 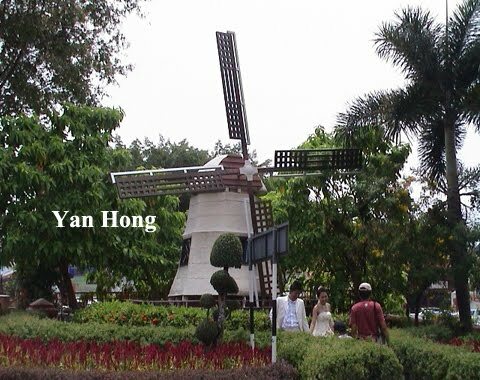 The Dutch came to the East to trade in 18th century. 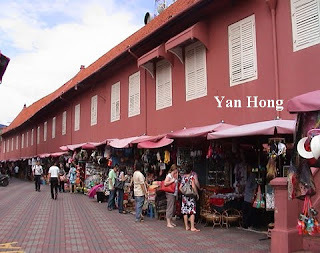 Unexpectedly, the buildings remained by them in Malacca had played an important role in the Malacca tourism. 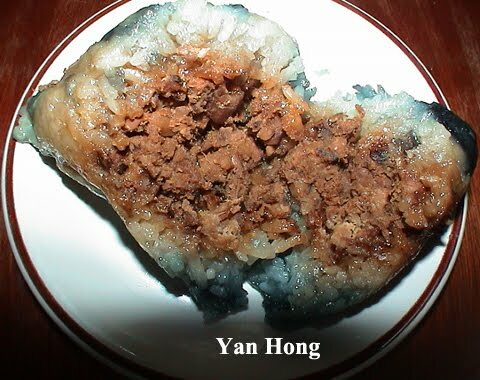 The Stadhuys is as popular as a globally renowned idol. It is located within the Dutch Square at Jalan Gereja in Malacca, Malaysia. 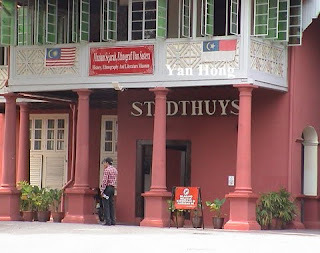 Numerous tourists from worldwide visit the Stadhuys every year. 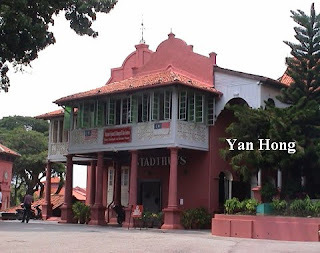 Constructed in 1650 as the residence of the Dutch Governor and an administrative centre, the Stadhuys was converted into the Museum of History, Ethnography and Literature in 1982. After the declaration of independence, the Alliance Government which was led by Tunku Abdul Rahman still use the Stadhuys as administrative department. The souvenir stalls outside the Stadhuys were the cellar, prison, barracks and storeroom of the Dutch Government during their occupation of Malacca in 17th century. Now, the Stadhuys had become a goose which laid golden eggs for Malacca. 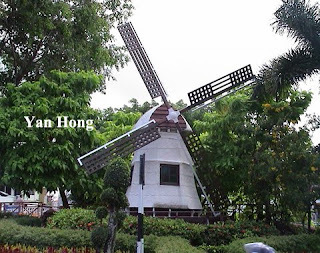 The world famous A Famosa is located at the foot of the St. Paul Hill in Malacca. 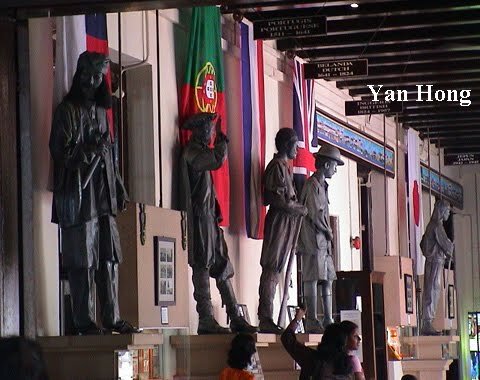 It was constructed by the Portuguese during its 130-year long rule. 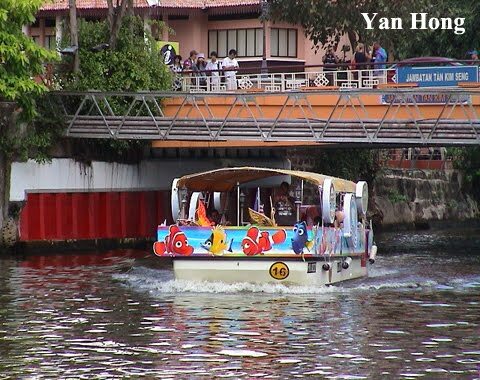 Now, it had been transformed into a very popular tourist attraction. Portuguese came to the East to seek for the spices in 16th century. 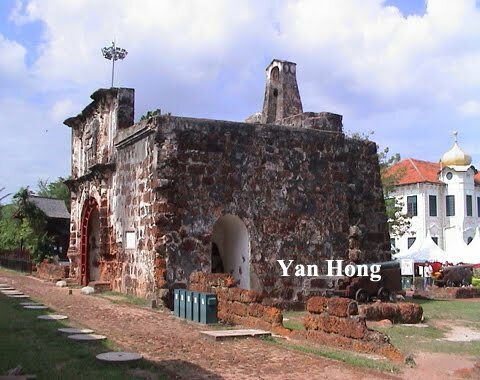 In order to compete with its rivals and dominate the spices trade, Portuguese occupied Malacca and set up a base. 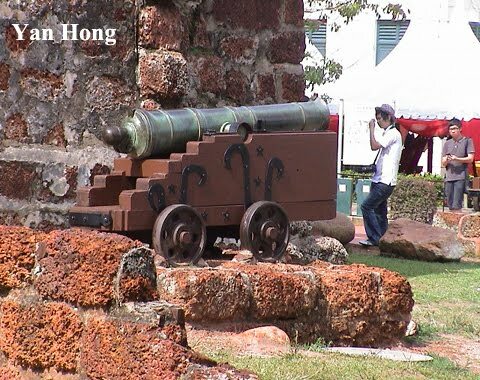 With the capture of Malacca by Portuguese in 1511, it ended the Malacca Dynasty which was established by the Palembang prince Parameswara. 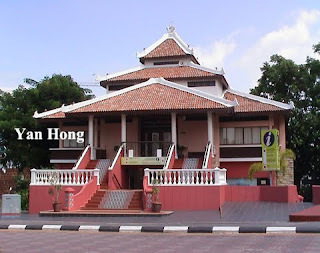 The last sultan of Malacca Dynasty, Sultan Mahmud Syah fled in panic. His imperial concubine Tun Teja died in Merlimau while retreating to Muar. 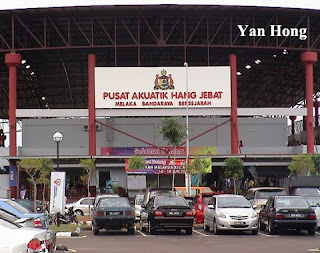 Tun Teja was buried in the paddy field in Merlimau Pantai. The 1Malaysia Government should take the demise of the Malacca Dynasty as a lesson. Unity is strength. It's as simple as ABC. 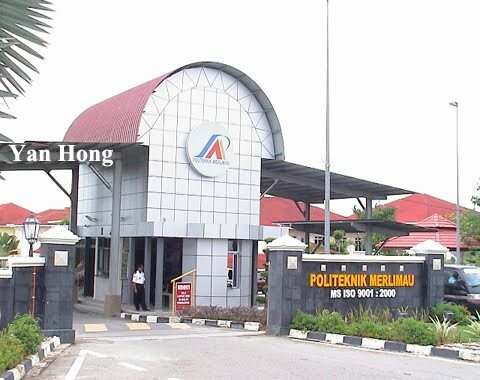 That's why 1Malaysia Government shouldn't advocate the priority culture in Malaysia because it will create prejudice among Malaysian. The Spanish missionary St. Francis Xavier stood alone on Malacca St. Paul Hill. He had been overlooking The Straits of Malacca for more than 400 years. Perhaps the lonely St. Francis Xavier was desperately homesick or his desire remained unfulfilled. 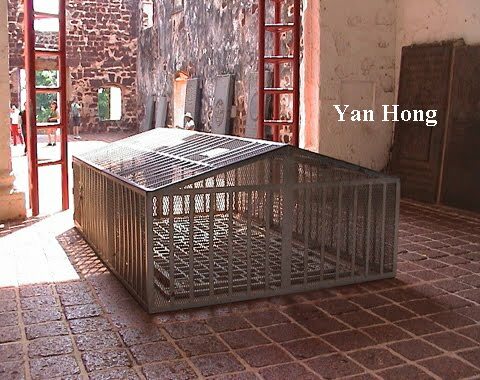 It's truly interesting and thought-provoking. This is the statue of the renowned Catholic missionary St. Francis Xavier. The right palm of the statue was broken. 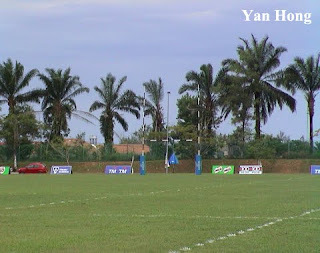 I once thought that the missing palm was destroyed by some mischievous person. Actually there were different versions of stories about the damaged palm. St. Francis Xavier was born in a Spanish noble family in 1506. When he was studying in Paris, he met the co-founder of the Society of Jesus---St. Ignatius Loyola. 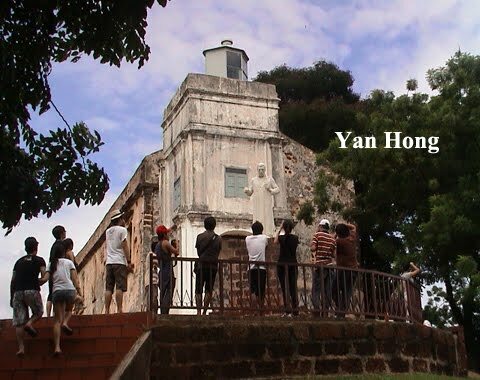 Since then, he became a Roman Catholic missionary. He was devoted to disseminate Catholicism in the East. 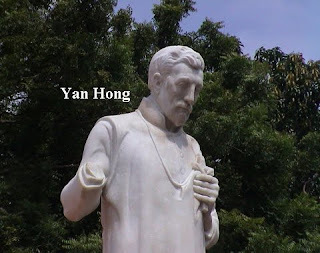 On his way to China, St. Francis Xavier fell sick and later died on the Shangchuan Island. 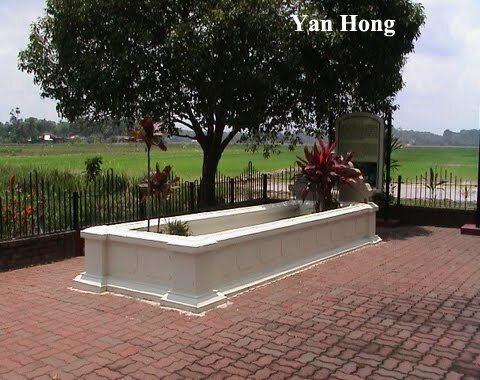 His body was interred inside the St. Paul's Church before reburying in Goa, India. The grave of St. Francis Xavier was covered with wire mesh. According to hearsay, the burrow was an exit of the underground tunnel. You can make a wish after throwing money into the grotto.